According to Energy Star (http://www.energystar.gov/), a compact fluorescent light bulb (CFL) saves $30 over its lifetime, pays for itself in 6 months, uses 75 percent less energy and lasts 10 times longer than a traditional incandescent bulb. Even though fluorescent bulbs use less energy and save money, they contain a small amount of mercury. Mercury is an essential part of fluorescent bulbs. 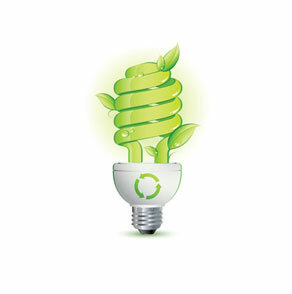 The proper use and disposal of these bulbs is vital to maintaining a healthy home and planet. At Verilux, we want to encourage you to locate and use a recycling center near you and understand the proper clean-up procedures if a fluorescent bulb breaks in your home. The links below will help you locate recycling centers in your area and information regarding correct fluorescent bulb disposal. Earth 911 "Making Every Day Earth Day"